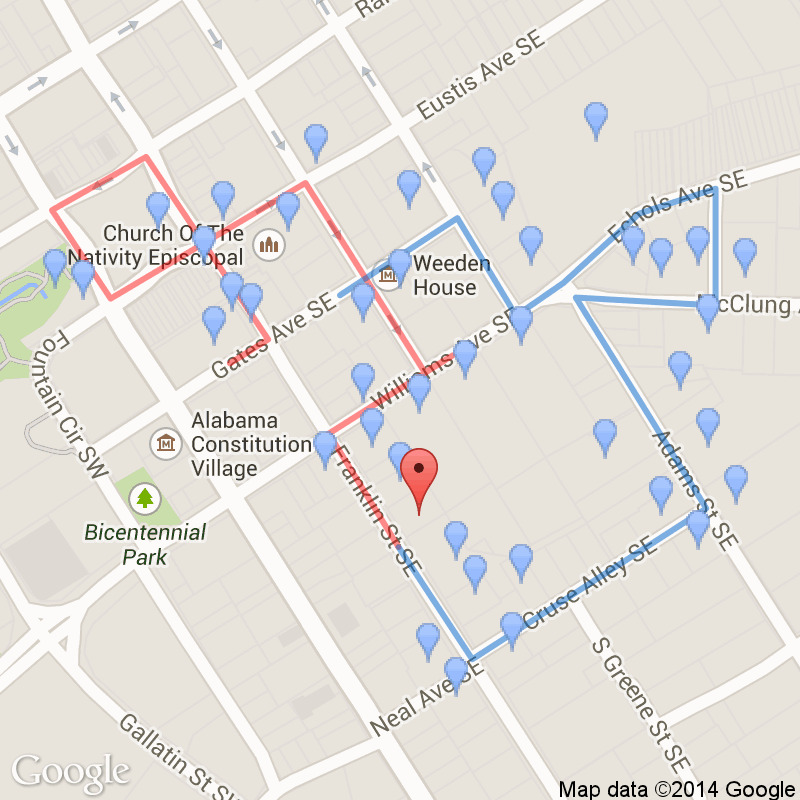 Continue down Franklin Street and stop in front of the Alexander Erskine Home at 515 Franklin Street. The content of this map is licensed under the Creative Commons Attribution 3.0 License, and code samples are licensed under the Apache 2.0 License. For details, see our Site Policies. 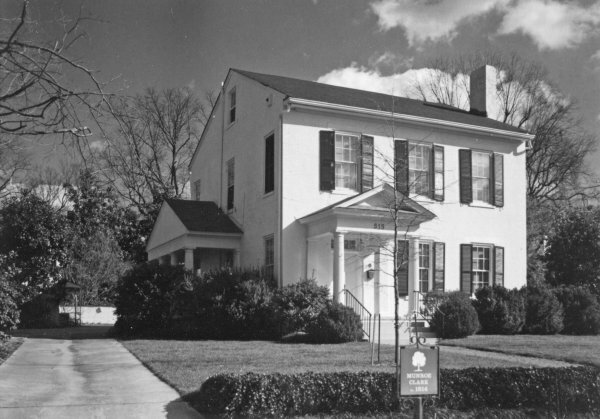 This noteworthy house is the Monroe House, built in 1819. It was once the home of Dr. Alexander Erskine, a physician whose father-in-law was Revolutionary War soldier Albert Russel. Many successive generations of this family have an Albert Russel Erskine. One of those Huntsville descendants was the millionaire President of Studebaker Automobile and he lived in South Bend, Indiana. His mansion in South Bend was named Twyckenham, spelled with a y instead of an i. During the early days of the depression, Russel Erskine was able to bring the company through the difficulty. But in 1933 the company went into receivership and Erskine lost his personal fortune as well. He committed suicide in the bedroom of his mansion and left a note that said, "Nervous system shattered. Cannot go on." It was believed that he killed himself one day before his insurance policy was due to lapse, and therefore his death provided money for his family to live on. 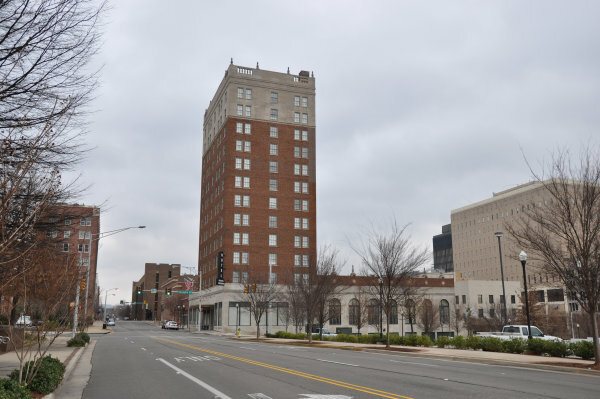 The Russel Erskine Hotel in downtown Huntsville was built before his death. Legend says the investors ran short of funds and asked him to help out. Erskine agreed to help if they would change the name from the General Joe Wheeler, the intended name, to the Russel Erskine Hotel. The once magnificent hotel is now an apartment complex for senior citizens. 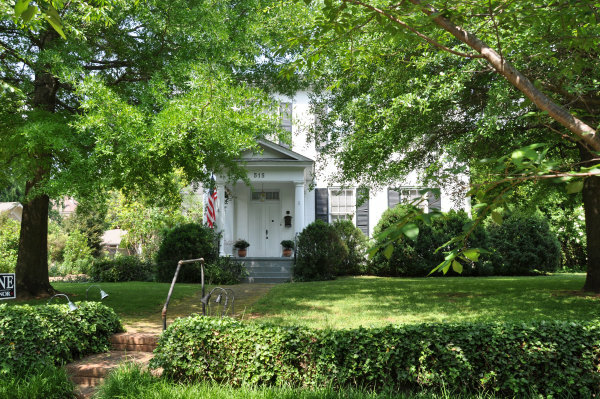 This home was built as a Federal half house. 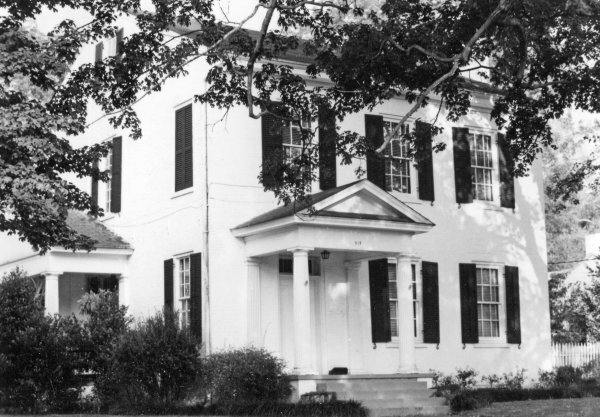 Rooms were added to the north side for symmetry and the Greek Revival porches were added later. The brick walkway is original. 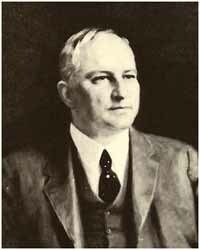 Albert Russel Erskine, a former President of Studebaker, was born in Huntsville and lived on Franklin Street. Rights: Architectural Collection of Harvie P. Jones, FAIA, Dept. of Archives/Special Collections, M. Louis Salmon Library, University of Alabama in Huntsville, Huntsville, AL. Center screen to hide/show the footer. Next or the Header for the next page. Back for the last page. Home for the home page. Sites to select a site. Find for directions to a site.